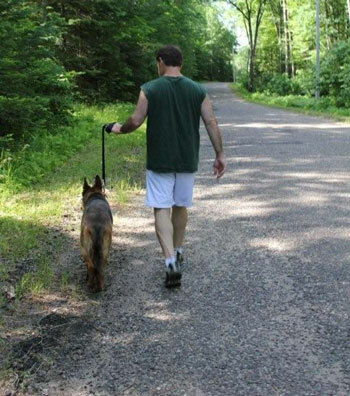 If you have ever suffered the loss of a German Shepherd Dog, please consider sharing your personal story and experience to help others get through this difficult time. 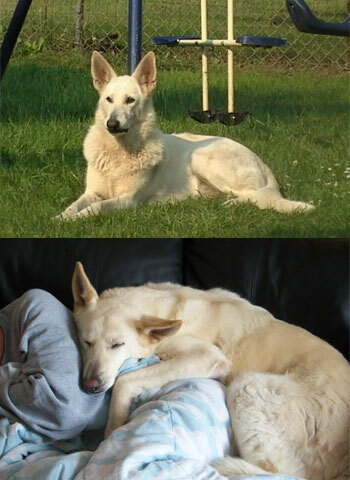 Remembering that you are not alone, this page is dedicated to help anyone who has loved and lost their German Shepherd Dog. We as breeders of this wonderful breed know that you will never replace your family member but we also know somehow you need to let your heart love again. So please enjoy reading the stories of people who also loved and lost a part of their family. REMEMBER YOU MAY HAVE LOVED AND LOST THEM BUT YOU WILL NEVER FORGET THEM!!!!! They will be in your heart forever. 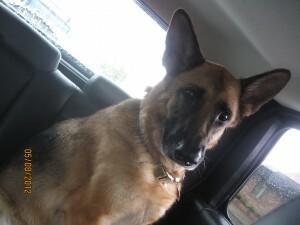 Please feel free to upload a picture and write a story on your GSD that you loved and lost. We would love to read your story and also know you will be helping others. How do I put into words what my heart feels about this wonderful boy? 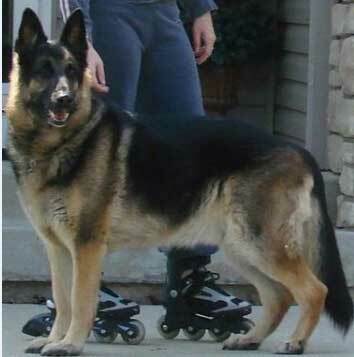 Because of him, my first gsd, I fell in love with this breed. The day he left us my heart broke and I never thought it would mend. I told myself I would never, ever, get another Shepherd. 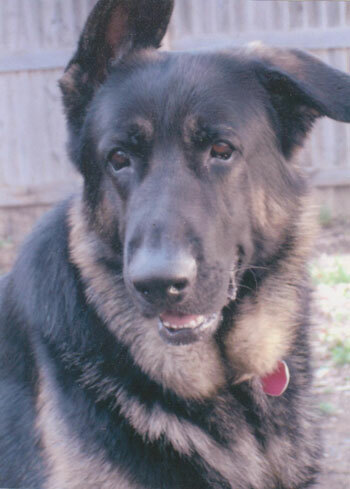 No other dog could fill my boys shoes.His gentleness, his loyalty, his devotion to Nick….I was wrong…. So very wrong. The month of March brought Freya into the world and May she was welcomed into our family. She is such a sweet, feisty little girl who has her own special place in my heart. Until we meet again… My beloved boy. We brought LEO home to our 60acre forest at the age of 10 weeks. He grew up roaming where and whenever he wanted and was at my side from the time I meet him until the day we lost him. He was never on a chain or in a kennel; he was in our bed and on our furniture and with us on every trip we made. From the time he was young I could see a difference from other shepherds we’ve had through the years. He was very smart, ambitious and responded great to anything I tried to teach him at a very early age. We moved across the country several time through the years and he always adapted to his surroundings and new people with out any issue and would be a little extra protective in new places until he was sure it was OK.
Leo was about 6 when my daughter was born and then I saw a beautiful unbelievable almost humanistic side of him. He would stand over my daughter or act as her pillow and would look deep into my eyes as to say “Don’t you worry about her on my watch dad nothing will happen to her on my watch” and truthfully I never did worry when he was around. In the next several years he watched that girl as if his life depended on it. Always had to know where she was at, at all times. If she was not there he would not sleep, pacing the floor until she came home, he would lick her face, sniff her everywhere and go lay down. I was riding my bicycle in circles one day and my wife and daughter we’re sitting in the grass, I playfully road by them and Leo decided it was too close so he began pushing me away and letting me know he didn’t like that. I did not stop so he ended up biting my front tire and popping it just letting me know he was done playing around. He never fearful of anything ever including the 2000lb moose we encountered in the mountains of Wyoming together, I had to clam him down so he didn’t end up squished. 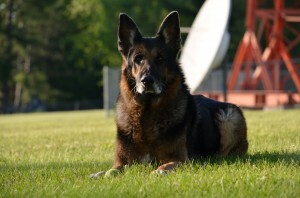 He was a big, powerful, athletic dog and never had any health issues. We returned back to the woods he was raised in for vacation after being gone for 3 years and he knew we we’re going back there. When he saw the little country corner store just down the road he went berserk. We let him out at the woods and didn’t see him for many hours. In the last 4 years we went the woods for vacation and he knew it every time. Last summer when he was 13 we left for vacation and the very first day we went to the lake and he was chasing the ball as he’d done for the last 13 years. He was swimming and playing and simply walked up on the beech and laid down, he would not get up. For the first time ever in our lives together, after thousands of miles together and 3 new homes together, new neighborhoods together and all the things we do with our companions together! I saw in his eyes that he was scared, something was very wrong and then I got very scared. We loaded him in the van and after 20 hours at the vet’s office we had to put him down, he suffered from a severe stroke. My wife and I held his head telling him he was a good boy over and over until he took his last breaths. We took Leo back to the woods where he grew up where he rests today. As I look back on his last couple of months of his life, I really believe he knew he was “going” and just held on until he got back to the woods. Every one who knew him will miss Leo and he had many friends around the country. 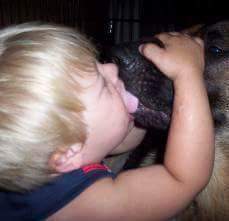 He was a very special dog to everyone he met. It was a very sad day that lingered on for weeks and months. After 9 months, we are ready and are very excited about bringing home our new family member and if that pup is only half the dog Leo was we will be happy. Koda was my first dog that i could call my own. I was just approaching my ninth birthday when my parents decided to bring in another German Shepherd, this one to be mine. We went to the breeder and I remember petting all of the puppies, one was particularly clingy to me, breaking a wheel off of a tonka truck to play with me. I immediately knew he was the one I wanted, he picked me. We became inseparable, and he was there for me through everything, my parents divorce, middle school, high school, and the first semester of college. He was like my son. He went through a house fire and stomach flip and came out fine, but in December i noticed he was starting to not remember things, along with hip problems. the day after valentines day I took him to the vet to see how i could help him. I was told his spine was deteriorating and there was nothing they could do, the hardest decision to make was to put him down. I miss him like crazy and know that no other dog could replace him, he was truly an angel sent down to help me through lifes journey, i only wish our time was longer. 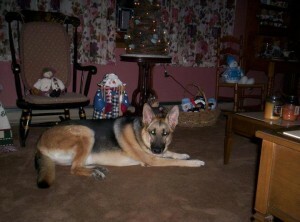 Our Bella was one of our family. She was absolutely beautiful inside and out. Regal, sweet, loving, protective, gentle and the most loyal being I have ever met. We are so lucky to have been able to share our lives with her. She was not a dog, she was our first child, my best-friend and her passing is a loss that has left our hearts in pieces. Our girl had idiopathic megaesophogas. She was diagnosed a year and a half ago. A condition that is indicitive to shepherds. We changed her lifestyle and had a Baily’s chair built. We measured her food, blended it and fed it to her by spoon, while she was sitting upright in her chair. The specialist that we saw said that her case was very severe and there wasn’t any surgery or medication that would help. He said that she would have a few weeks to a couple of months left. We were blessed with an extra year. The chair and her pro-collar were our saving grace. She would do anything for us. She would back up into her chair on command and put her paws up on a pipe. She would sit in that chair for an extra 30 minutes after eating without protesting. She knew that I was helping her. Her quality of life was still good. She enjoyed going for rides, walks, playing with toys and doing almost everything that she used to do. Last Monday, her body grew tired and she passed away in my arms. My Best Friend! My Girl! I needed her more than she needed me! 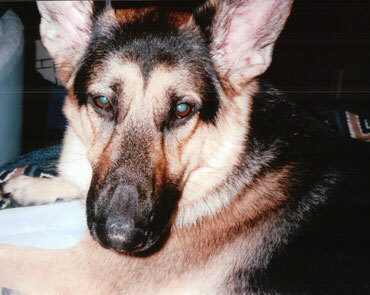 Molly was our beautiful German Shepherd who we were blessed with for 9 1/2 years. Molly was always sweet and gentle and could be quite a character at times. 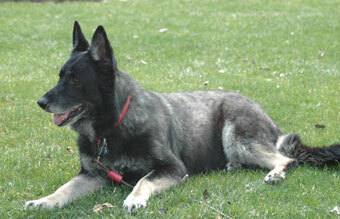 Molly was one of our family members, was always treated as such, also our friend and protector. Molly was diagnosed with cancer November of 2011. We had her on chemo and were doing everything we could for her to try and heal her, but unfortunately, the cancer started to spread. We loved her so much and did not want her to suffer but did not want to lose her either. She died peacefully in her sleep of an apparent heart attack, right next to us in her favorite spot in the bedroom. Our vet called it “Godly” in the way she went because she said she never thought she would go that easily. God knew how much we loved Molly and took her so that we did not have to make that very difficult decision. We miss her so much that it hurts everyday of our life, but we are so glad that God gave her to us for the time that we did have her. We will never ever forget her and she will never be replaced. She will always hold a special place in our hearts. We will always love you sweet Molly girl. Chili was planned just as children are. I could not wait until the day we were able to bring him home. Seems like yesterday.He was a very confident, naturally smart, cautiously gentle, always happy, gracefully protective, handsome and proud and always loved unconditionally.He loved running, walking, rollerblading with me, rides in the big red truck, jumping off the pier, chasing kittys, my friends dog Baily, microwave popcorn and when dad spilled rumplemintz:)Letting him go was the hardest thing to date I have faced. He is missed dearly missed beyound words. He was fun to train and his tricks charming, but his hugs were more then perfect, like an angel wraping his wings around you.He has crossed over and we will meet him on the other side someday. He is loved more then love. Cassie – 01/15/1997-09/10/2010 – Owner: Colleen H.
Shelby – 03/11/1998-04/11/2010 – Owner: Frank B.
Shelby was a beautiful, smart, loving dog, great protector, she would of gave her life for us. She loved us unconditionally, and is truly missed by all of us. Felon was a true friend until the end. We noticed leisons on his face early in July of this year and after many vet appts and biopsies he was diagnosed with lymphoma. 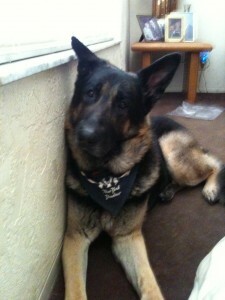 He was younger brother (not blood brother) to our 8 year old german shepherd Riko. They loved each other so much; they would talk all the time…mostly when “their daddy” got home…a sound that we truly miss. Always a smiling face to open the door to…would do just about anything for a treat…except go down the stairs!!! !…He is truly missed and can never be replaced….Every dog has their own personality and therefore could never ever be replaced….but has the #1 spot to be remembered forever! We will always have the red ball for you FELON! We all miss you. Nikki – 04/17/1999-04/26/2010 – Owner: Tina G.
I often hear people talk about dogs that they’ve lost, saying that they were “the perfect dog”. But even in life we referred to Nikki as the perfect dog. She truly loved all creatures while still being fiercely protective and incredibly loyal. She not only protected our family, but she was known to defend a neighborhood cat from a bullying dog whenever she was needed. We learned that she had hip dysplasia when she was 5 years old and knew that our time with her would probably be cut short. We dedicated ourselves to taking the best care of her that we possibly could and enjoyed each new day as the gift that it was. Nikki lived to see her 11th birthday and shortly after she gave me the look that I knew would come one day. The look that said she was ready to go to the rainbow bridge. Letting her go was the hardest thing I’ve ever done, but I loved her too much to let her suffer any longer. This picture is typical Nikki taking care of my husband when he was sick. She never left our side when we needed her. I am so grateful that she was part of our lives and will forever remember her. 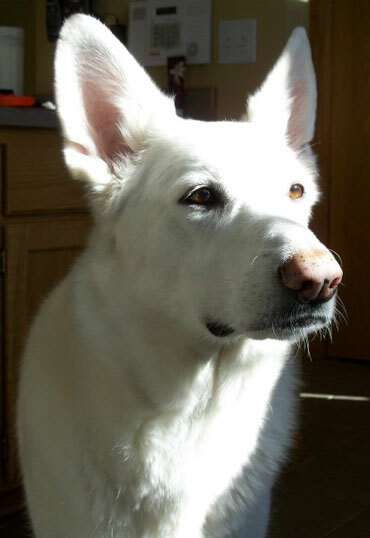 Tell Us About Your German Shepherd Dog.